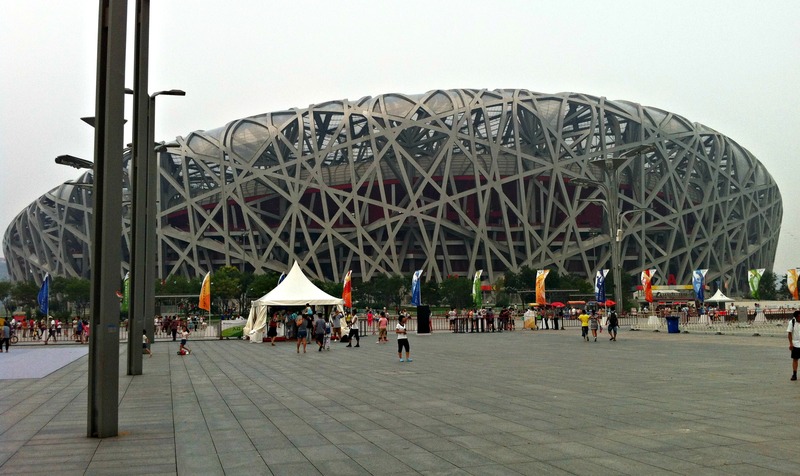 « Day 90 in Beijing: Shopping for Clothes. At 7-11. Day 91 in Beijing: The Bird’s Nest. 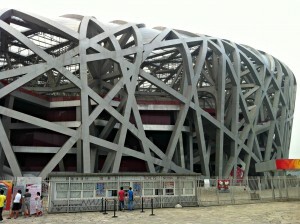 A full view of the Bird’s Nest. 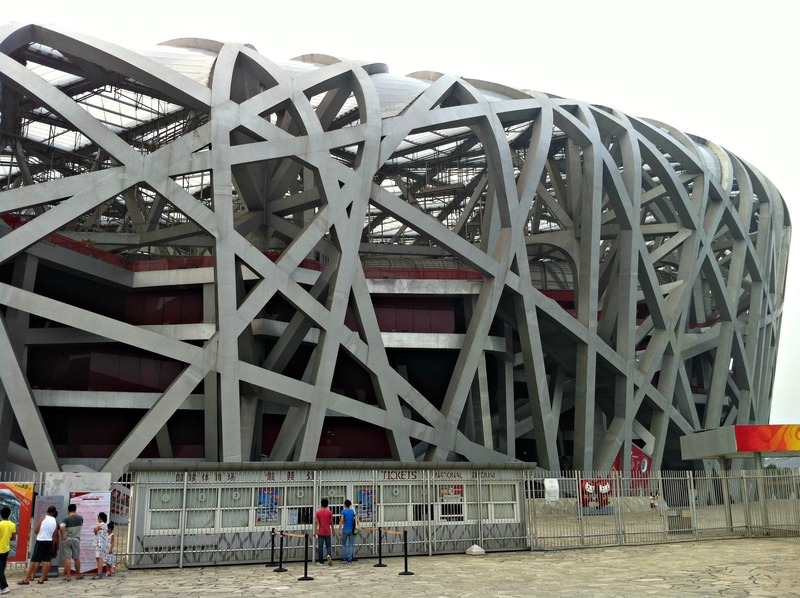 Many of you remember the gorgeous Beijing National Stadium, more commonly known as The Bird’s Nest from the 2008 Olympics. 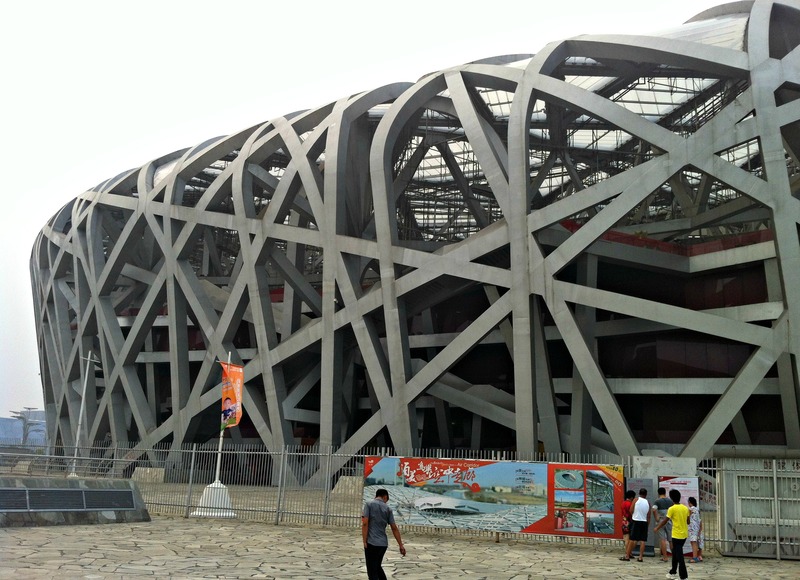 I walked over to it a few days ago and took my time walking around the Olympic area. From what I’ve been told, it isn’t being used for any events and is basically empty. The tours cost about 10 bucks and I decided to wait until another day since I wanted to spend my time wandering around the Olympic area and just get a feeling for it. 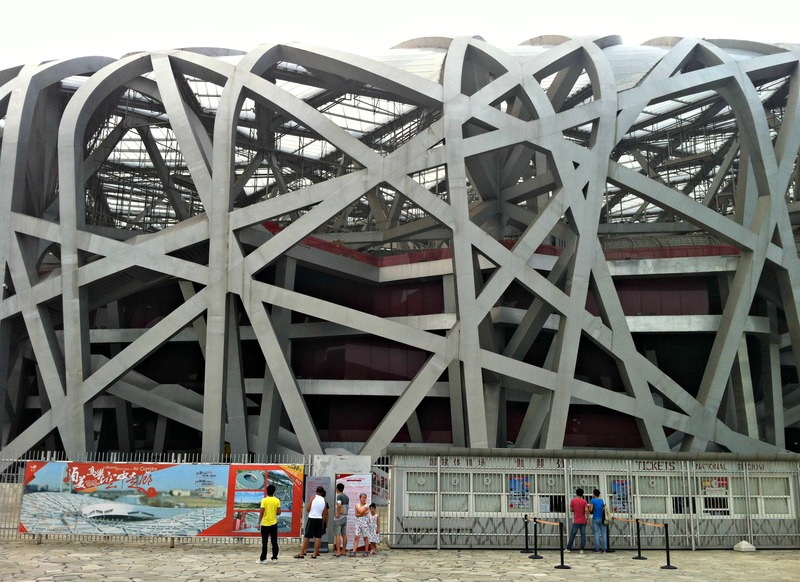 There were a lot of people in tour groups and enjoying themselves doing athletic activities like badminton and rock climbing on portable rock walls. There was also a swimming event at the Water Cube. 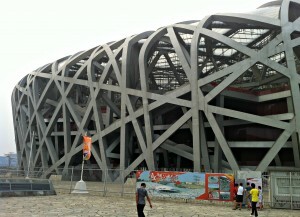 Unlike the Bird’s Nest, the Water Cube is in use. It was out of commission for a time, as they rebuilt the interior into a massive water park, but they still have swimming competitions. 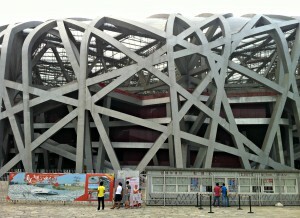 I was offered tickets for a small sum, but again, refused as I wanted to walk around and get a feel for area as a whole. 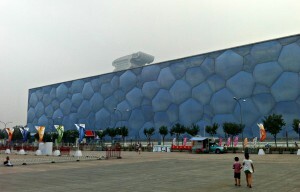 The Water Cube with the IMB Dragon Building behind it. It is an interesting blend of brand new and sadly badly maintained as I could see rust and other effects of the buildings not being taken care of and properly protected. I hope they start to do more work and fix things as this is a wonderful area to walk and explore.